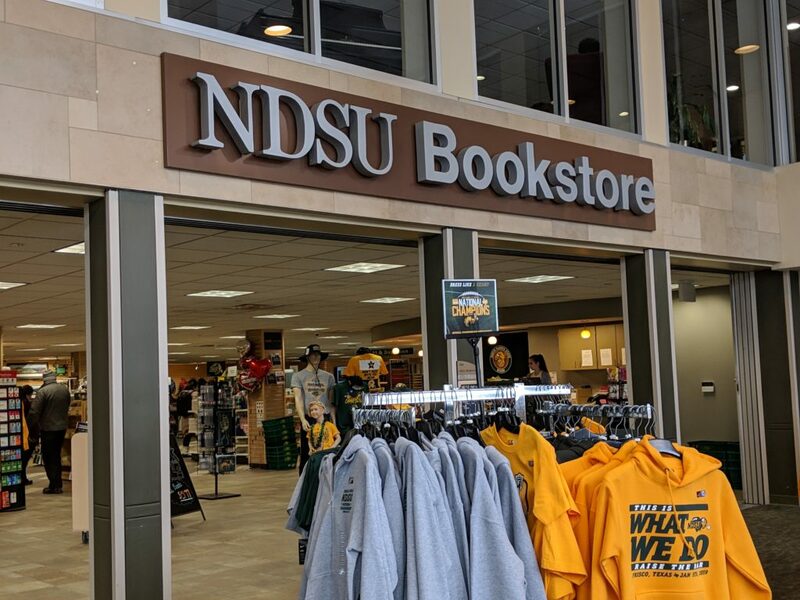 For the month of February the North Dakota State Bookstore has left it’s plastic bags behind, encouraging customers to bring their own reusable bag. They have done this with support from the NDSU Staff Senate Sustainability Committee after other stores in the Fargo-Moorhead community tried doing the same. This is the first annual “bagless February,” and Kim Anvinson, director of the NDSU Bookstore, hopes to make the lack of plastic bag use a regular habit for students. Anvinson spoke about how at the beginning of the semesters students are given their books in cloth bags, and she’s hoping that she sees some of those bags in use this month. “Seeing no plastic bags makes my heart sing,” Anvinson said, noting that she tries to do little things to help the environment, including opting for reusable steel straws in her home. Seeing as this is the first attempt at going bagless, Anvinson is unsure of what the end result will be, saying this “could be tough to sustain” over the course of the year. However, the effort is not the only one the bookstore is working toward. According to Anvinson, she and all bookstore employees make sure to recycle the cardboard boxes they receive and pay close attention to the amount of shrink wrap being used. Anvinson said she hopes this effort will bring a “growing awareness to the little things” that impact the environment. She brought up an idea she had to potentially partner with the coffee shops on. If students brought a mug, purchased from the bookstore, they would receive some incentive to use that instead of a disposable cup. Though the Staff Senate Sustainability Committee is picking up speed, as can be seen with this bagless effort, Anvinson said their efforts have increased and she is excited to see what comes next. Her message to students and the greater Fargo-Moorhead community is to partner with the NDSU Bookstore if they have promotional ideas in mind that could also help students and NDSU go green. Anvinson also wanted to remind students that the bookstore is there as a resource for them. Previous Previous post: Who Cares About the Super Bowl?